Is there love that knows no betrayal? Is there love that forgives? No wonder the fairy Melusine was sad: she didn’t know JUMBO THE ELEPHANT. In French there’s an idiom for uttering the utterly unbearable: “Pousser des cris de Mélusine”- to cry out as does Melusine. These are the heartrending howls of tearing, of separation, of grief for the self, for the beloved. 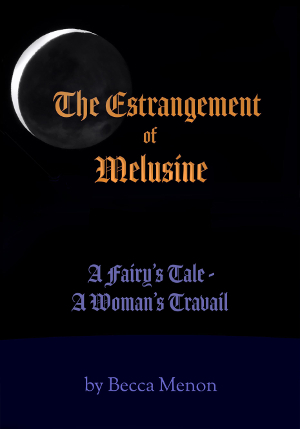 According to legend, Melusine still cries whenever a member of the House of Lusignan is about to die. Each parting is a new estrangement. Her exile becomes a no-place, where, invisible, untouchable, she hovers nearby, exiled from every form of love – except loving.